Creating Ceramics at Posada Esperanza! Two of our very own wonderful ESL teachers, Blair Pettit and Grace Wasson, have started teaching a ceramics class at Posada Esperanza! 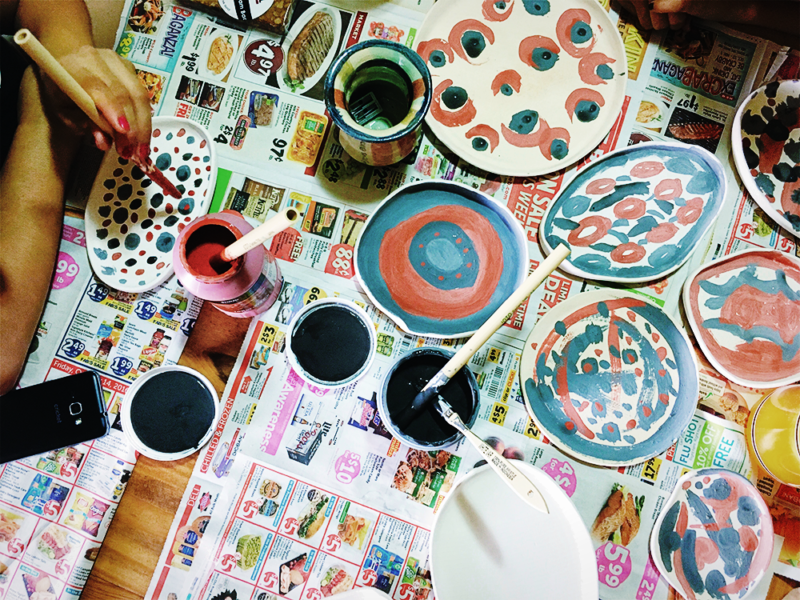 Blair and Grace have been creating ceramics for a while now, and have brought their talents to Posada to help the women discover a new creative outlet to relieve their stress. Their goal is provide the women of Posada a way to relax, as a sort of art therapy. 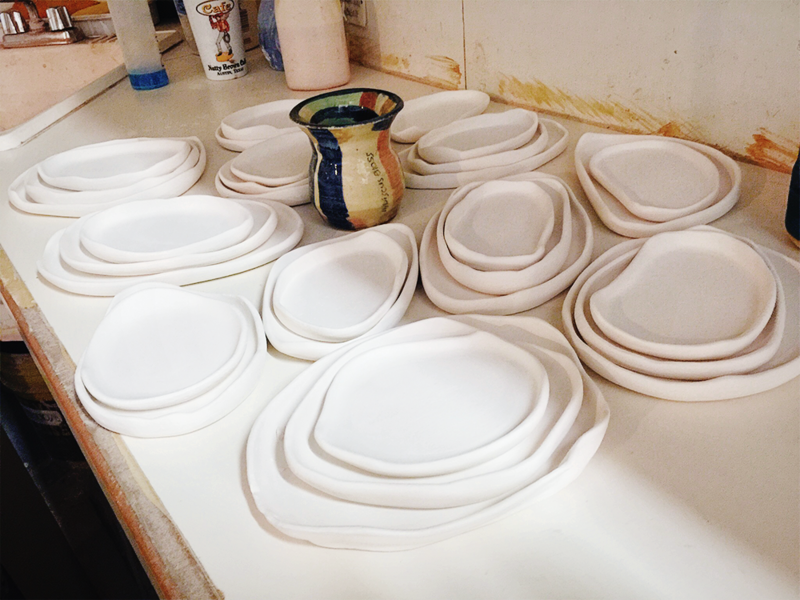 Speaking about the project, Grace says, “we made the ceramic dishes out of my apartment this past summer and brought them to Posada a few weeks ago for the women to paint. Because this was our very first session, we didn’t know what to expect. Only one woman, Nelly, was able to participate, but it was a success nonetheless. 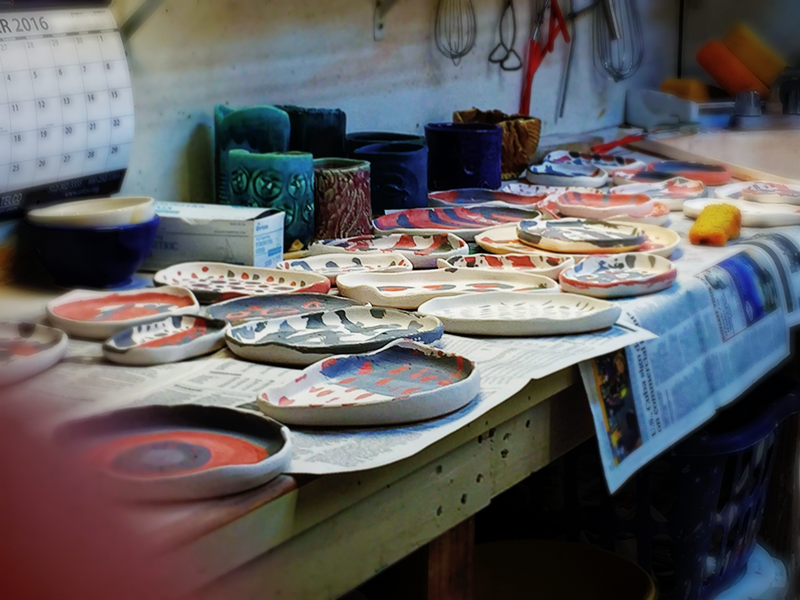 Rather than teaching her how to make certain designs or what looks “good”, we sat down alongside her and just went to town–creating unplanned, sporadic designs that covered the dishes”. This method of ‘there’s-no-wrong-way’ gives the women of Posada a sense of liberty to be as creative as they want and while doing so, become relaxed and comfortable, chatting and painting away in a calming atmosphere. 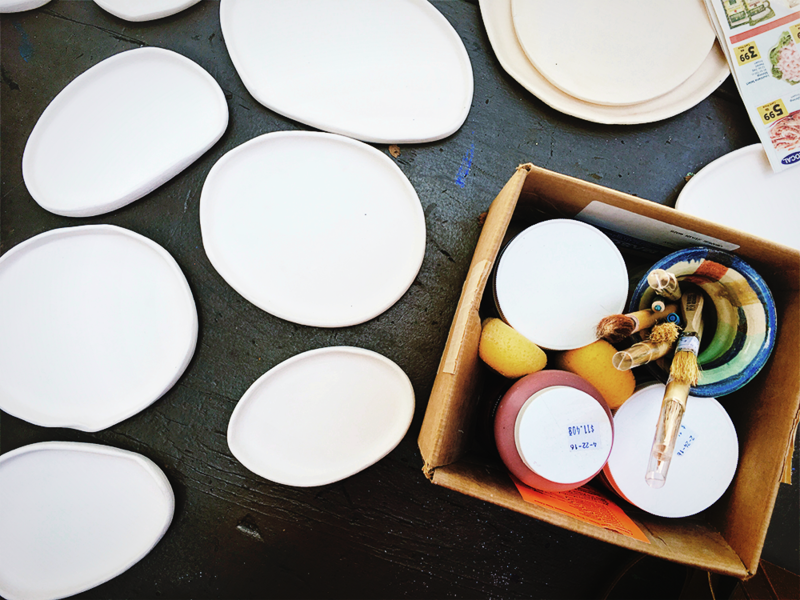 Once fired (making the ceramics durable), the girls plan on giving a couple of Nelly’s dishes back to her (the ones they knew she was most proud of), and then selling the rest. With the money they make, they plan on buying the necessary materials to do this whole project all over again. The money that is left will be donated to Posada and also go towards a commission for Nelly on her plates that were sold. Grace and Blair hope more women can participate next time around, and will keep the Casa family posted on when the ceramics are available for purchase! Blair and Grace plan on selling the pieces at vendor markets, but also through their Instagram (@w.unity). For further information and purchasing inquiries, contact them at info@w-unityceramics.com. We are so proud of Grace and Blair for launching this amazing opportunity for the women of Posada Esperanza, and we can’t wait to see what the future holds for this creative team!